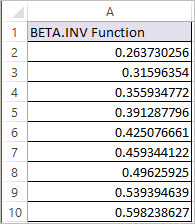 BETA.INV function in Excel calculates the inverse of the cumulative beta probability density function for a supplied probability. alpha -A parameter of the distribution (must be > 0). 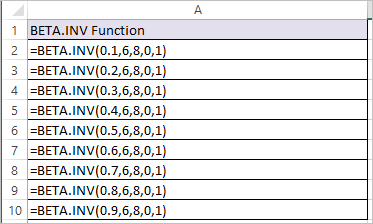 beta -A parameter of the distribution (must be > 0). [A] -An optional argument with default value 0, which gives the lower bound of the interval of x. 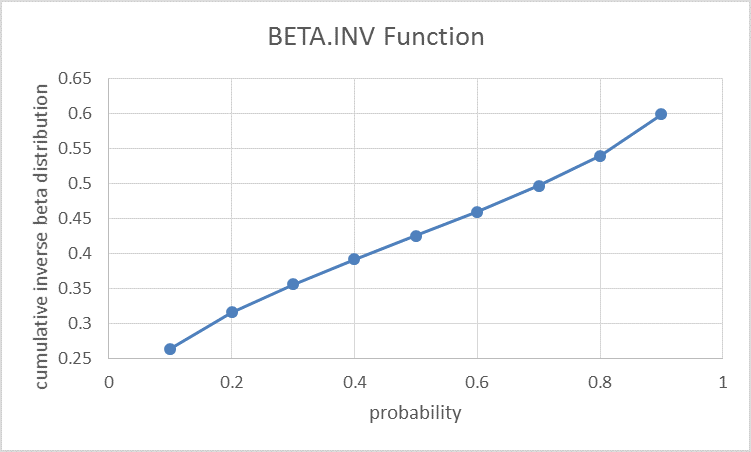 [B] -An optional argument with default value 1, which gives the upper bound of the interval of x.
Inverse Cumulative Beta Distribution, calculated for alpha=6 and beta=8 by the BETA.INV function is shown in above table and the same is plotted below.